Get your office and desk looking their best. 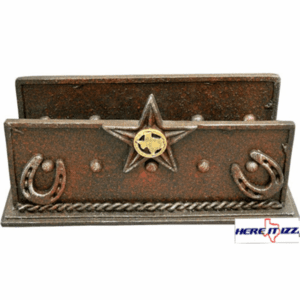 Reduce the Clutter of letters and papers with this Texas desk letter holder. Appearing to be weathered rusted and oxidized this letter holders made from cast resin and his hand painted.